SOMCAN ushered in the Year of the Boar with a New Year’s party for current and prospective members and their families. Despite the heavy rain, the event was well-attended. Party goers young and old were in good spirits, taking photos, playing games, and sharing good food with their neighbors. 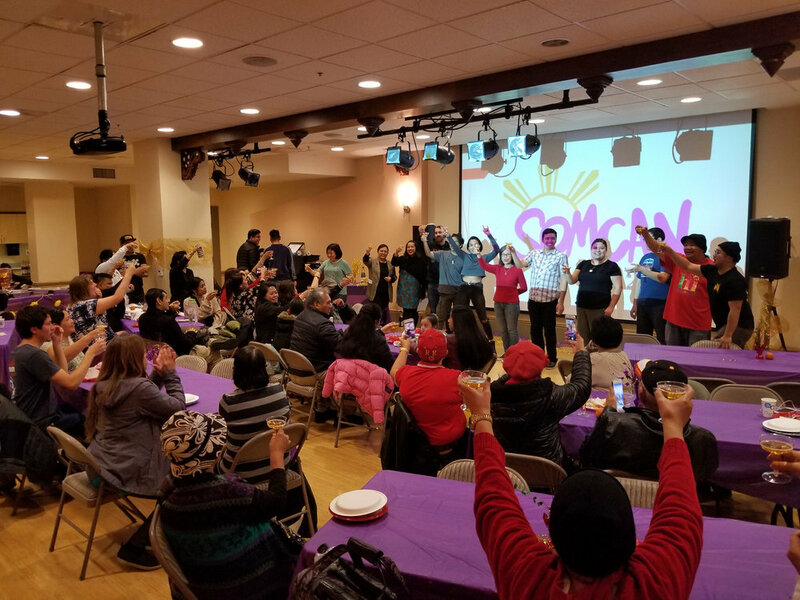 Raymond Castillo, SOMCAN’s Lead Organizer, prepared a special presentation highlighting recent organizing victories, current projects and campaigns, and ways to get involved. “What makes SOMCAN unique from other nonprofits is our bottom-up structure,” said Castillo. “We take the lead from our members, because we believe that residents who stand to be the most impacted by neighborhood developments, should be at the forefront of community planning.” SOMCAN’s staff is also reflective of the community, with the majority coming from shared or similar backgrounds. The first membership meeting of 2019 is set to take place this Friday, March 1st, 6-8pm at the Bayanihan Community Center. For more information, call 415-255-7693 or email tenantorganizer@somcan.org.